The real cause of the decline of coal is the free market. As has been reported a lot recently, the coal industry is dying: jobs are in decline as alternative energy sources are more easily available to the masses, and everything from windows to roofs has become more energy efficient. So while technology is killing the coal industry, so are competitors of coal, which still accounts for an astounding 40 percent of electricity worldwide. Enter a study paid for by two environmental groups — the American Wind Energy Association and Advanced Energy Economy — and conducted by Analysis Group, a consulting firm, timed to come out ahead of a competing Department of Energy study, and the stage is set to answer the question: What is killing coal? The answers will either be depressing (business-killing policies!) or hopeful (better tech and market competition), or perhaps both. First up, the private study results released Tuesday found that the decline of coal and nuclear plants in the United States has two main causes: the relatively low cost for natural gas, and the fact that electricity demands have not increased. The levelized capital costs for conventional coal-fired power plants ranged from $2,800 to $3,200 per kW in 2010. By 2014, the EIA estimated that the levelized capital costs of coal-fired power plants entering service in 2019 would be $6,000 per kW. In the EIA’s most recent LCOE (levelized cost of electricity) analysis, they don’t even include coal-fired power plants without CCS (carbon capture and storage). The levelized capital costs of coal-fired power plants with CCS entering service in 2022 will be $7,800 to $9,500 per kW. 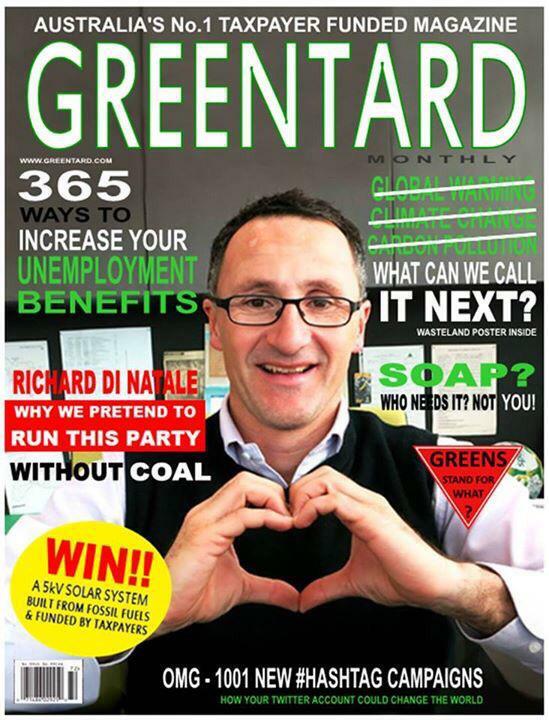 Almost all of the increase from $3,000 to $9,500 per kW is due to “business-killing policies”… Or planet-saving policies to warmunists. Setting aside the fact that “business-killing policies” have definitively driven the cost of coal-fired power plants up to noncompetitive levels, they are correct that “the relatively low cost for natural gas” really hurt the coal industry. 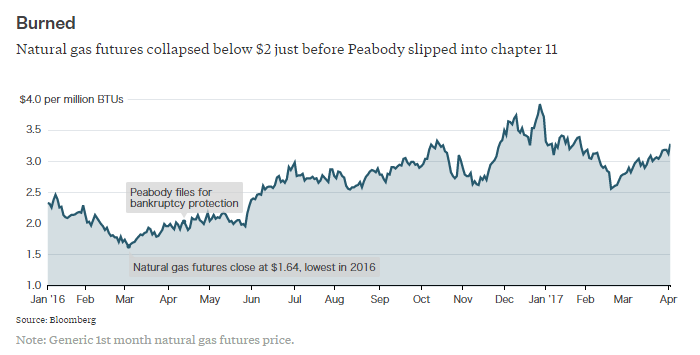 The brief plunge in gas prices below $2.00/mcf in 2016 was the “straw that broke the camel’s back” for the largest US coal company, Peabody Energy. One of the more telling moments during Tuesday’s interview came toward the beginning, when Kellow was summarizing the events around Peabody’s descent into chapter 11. He noted that, around the same time, U.S. natural gas prices hit a low of $1.67 per million BTUs. He was off by a few a cents — as he acknowledged he might be — at least according to Bloomberg data. Whatever; the point is that the CEO of a coal-mining company who quotes historical natural-gas prices down to the cent clearly knows the enemy. As I’ve written here and here, the shale boom fracked the ground from underneath the U.S. coal sector. The industry simultaneously self-administered a coup de grâce in the form of ill-timed acquisitions, loading up with debt just as the market went south. President Barack Obama’s tightening of the regulatory screws on coal-fired power essentially closed the door on any revival. Natural gas prices are currently in the neighborhood of $3.00/mcf (more on this later). It’s not that renewables have become so cheap that they’re killing coal, it’s that our technology has improved so natural gas is having an economic renaissance. It was the financial pressure from natural gas costs, which dropped and stayed low starting in the early 2000s, that delivered coal’s death blow. Wow! They managed to be “not even wrong” twice in one article! Next article Environmental Policies Demand Innovation. India Is Taking The Next Step.